A blog commenting strategy focuses on getting constant backlinks from other blogs and websites. This post is concentrated on giving you specific instructions and detailed strategies that you can instantly apply to your daily method in any given niche. You have to know from which sources and also HOW MANY backlinks you require to achieve HIGH rankings with a particular keyword. This is the very first point that a person has to know before he or she can even move on to building these highly targeted backlinks from other people’s websites. How can you start with your own blog commenting strategy and from where and which sources can you get links fast? It is all about the search parameter you use to find niche targeted, relevant and trusted blogs in Google. 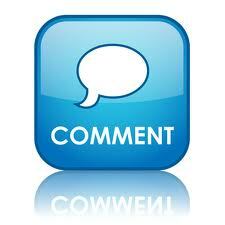 Here are some sites where you can leave a comment. Make sure to look at the search strategy that is effective for both sites and keywords. These are just four sites from which you can get immediate links within a few seconds or minutes. The first thing you have to write into Google’s search is the site, then your keyword or the niche you want to target. You can do this for any keyword in any area and you don’t have to limit yourself to sticking to just a few concepts. How do you leave a comment on one of these sites? Simply scroll down to the end of each post or page, see if the admin allows readers and visitors to leave a personal comment. Not all of them will have the comment section enabled, but some will. Then you want to mix things up as often and as naturally and humanly possible. Link back to different pages of your blog and use different keywords in the “name” section. For instance, if your niche should be “English Courses”, you want to use “English Courses” in the name section to around 60%, maybe “Online English Courses” to 10 %, “Courses” to 10%, and the other 20% you can use names such as “Gerald”, “Peter”, “Marina” etc. You have to make it appear natural and this is why we want to use different keywords and pages for relevant blogs. Now we’ve told you how you can develop your own blog commenting strategy, but how many of these links do you need to get on the first page of Google for a chosen website or keyword? It depends on your competition, how many backlinks your competitors have, and from which sites and sources. This is important. You can also add other strategies to your daily SEO practice. Blog commenting is just one of many different methods that you can use to enhance search engine rankings so use this technique together with other search engine optimization techniques to get a good result. You will need to create a weekly backlinking plan that you will follow through for the next 4, 8, 12, 16 or even 30 weeks if your keywords are very competitive. You are your own boss and have to be consistent with blog commenting. This post was focused on giving you the information to develop your own plan with blog commenting strategy. This entry was posted in Uncategorized and tagged blog setup, SEO, Shop Admin Tips. Bookmark the permalink.